The easiest way to understand different mediums is to create the same letter over and over again with different mediums, or simply create any one shape. Pulling, twisting, pushing, pressing, tearing, folding, cutting, arranging, sticking, stitching, stacking, pinning, breaking, molding and fixing, all these activities should be tried with respect to each medium/object. You will be left with a better understanding of how to handle each medium, and with a sense of making appropriate choices while creating artworks. The images shown below demonstrate the different qualities of 7 objects. 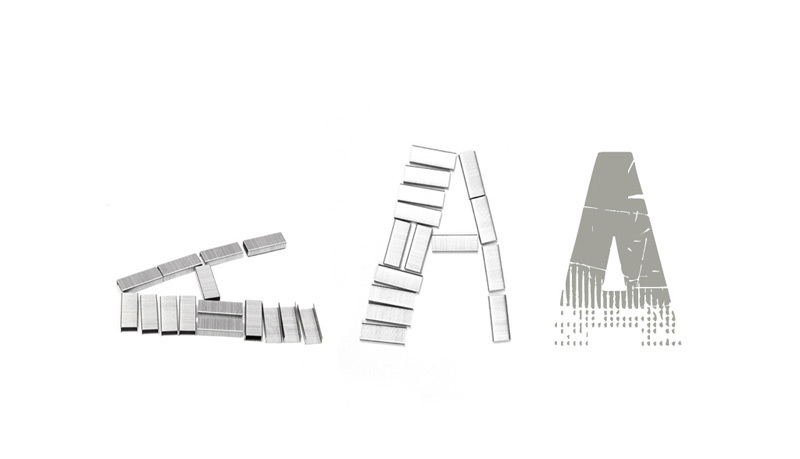 The letter 'A' has been created in different materials, thicknesses and styles. After creating the different A's, I went through all the fonts on my computer, and found fonts that match the nature and visual appearance of all the A's I have created, you can see them typed out in grey with the original image. A thick font has been fashioned from a belt. 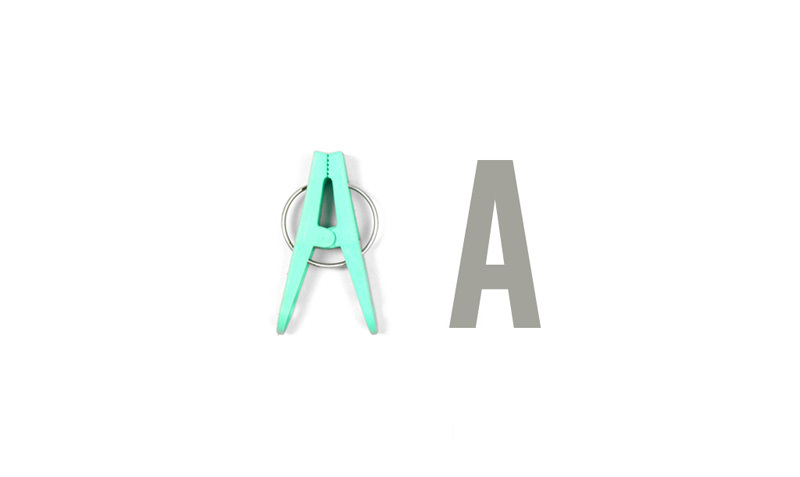 A clothes pin is the most obvious, capital 'A'. 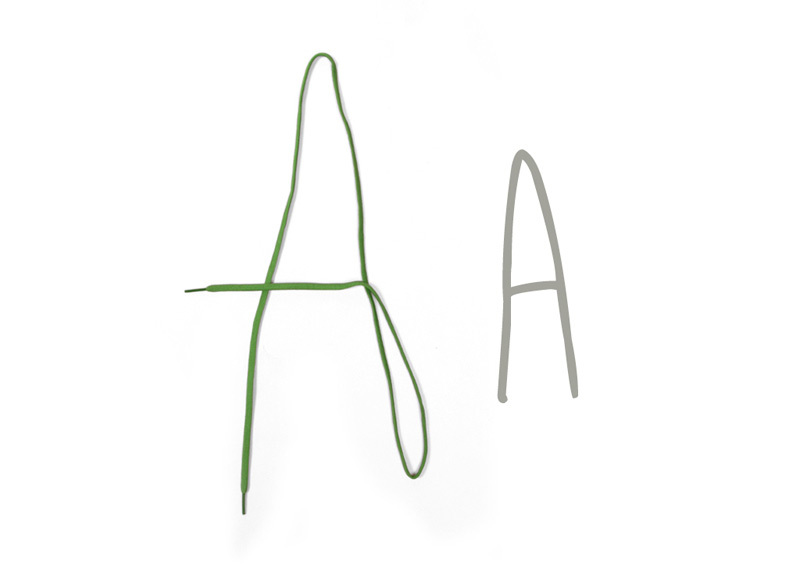 A skinny, wobbly 'A' was created using a green shoelace. 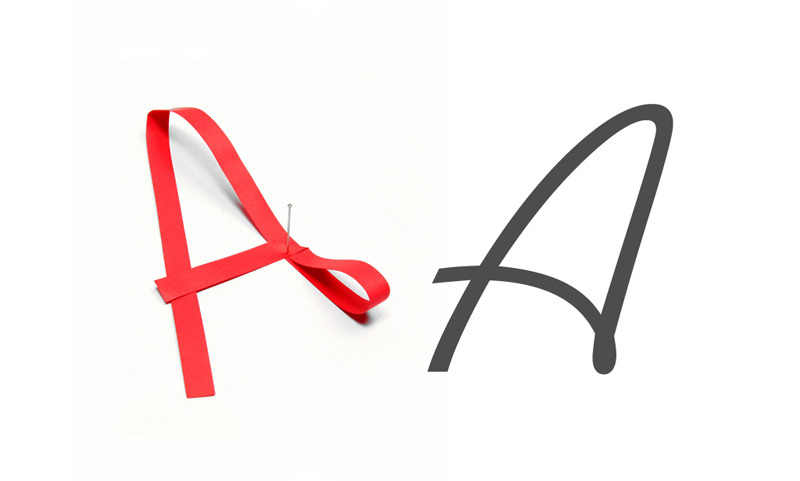 If you look carefully, from a different angle, even a paper clip looks like the letter 'A'. 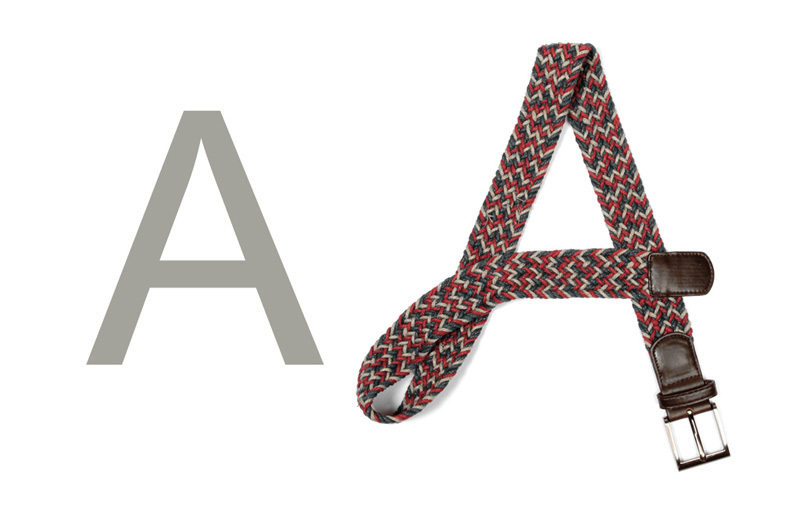 An electricians tape has been twisted, turned and stuck, to create a letterform. Staple pins for a more distorted 'A'. 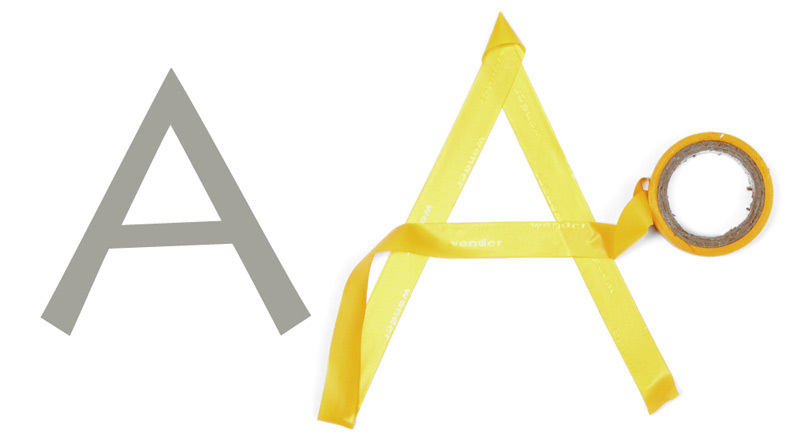 A strip of paper can be folded to created a handwritten type of 'A'. Sometimes the form of the everyday objects matches so closely to the letterform like the clothes pin for instance, that no effort on part of the viewer will have to be made in order to associate the letter with the object. Herb Lubalin's Rock and Roll poster, 1957 gives an indication of a humorous insight of this type. He has successfully merged objects with statements to bring about humor and thoughtfulness at the same time. The text of the poster is 'Ever since Rock was a stone and Roll was a bun...' Both the O's are respectfully replaced by a real rock and a real bun literally bringing the message alive on the poster. 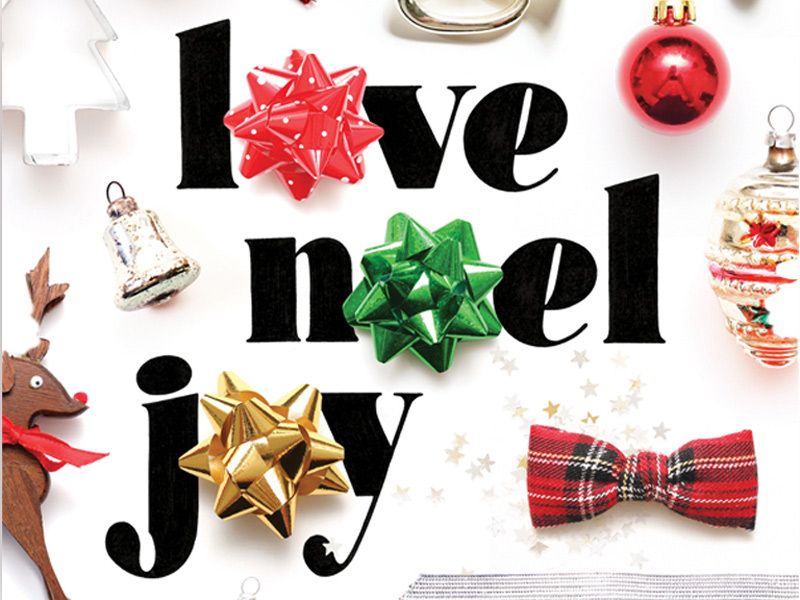 On similar lines one can see how the letter 'O' has been replaced in the words 'Love, Noel, Joy' by Christmas baubles, in a greeting card designed by artist Lauren Manning.